1. Preparation: It is important to ensure you have read the application and guidance notes and understand what needs to be included within the application. Pull together as much information as possible before you start so you have it to hand when writing the application. The first time will always be the hardest, once you have completed your first awards application pull together a file of all the information you needed this will make it a lot easier for future applications. 2. The Panel: Think about the audience that will be reviewing your application, will they have heard of you before? Ensure that the language is simple and easy to understand whilst also being business focused. Ensure you tell the whole story, include information that may be obvious to you but not to somebody that hasn’t heard of your business before. Sign post them to other promotional tools such as your website, social media pages and other good news articles that may be available online and help to successfully promote your business to the panel. 3. Keep it Simple: Applications are often short with word limited space for each question, this means you need to ensure you get your message across in a straightforward and concise way. Remember to keep the language simple and easy to understand to an audience that may not know your business and its products or services. Get your message across, reread and get a third party to read through your application to ensure they understand it before you send it off. 4. Shout about your Success: People and businesses are very often reserved when it comes to sharing success, an awards application is your opportunity to shine, shout about the business and the brilliant products and services you sell. Use customer examples and ensure you mention quality and trade standards, accreditations and previous awards show success your business really is. 5. You have to be In It to Win It: So many businesses say ‘I’ll apply next year or look for another awards competition when I am less busy’. Do not put it off businesses shy away from entering for fear of not winning but you cannot win unless you enter, so dedicate the time, pull together your resources and get your application in so you can start shouting about your successful awards win! To find out about awards in your area visit our website www.velocitygrowthhub.com The deadline for the Corby Business awards is 26th August, so you still have time to visit www.corbyawards.co.uk and complete your application today! If you would like help in raising your businesses profile book a business meeting with one of our Business Advisers call 0300 012 3435 today. 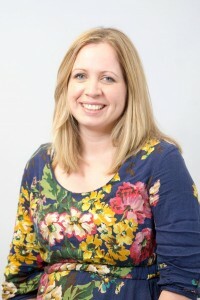 Article written by Ruth Roan, Velocity Business Adviser for North Northamptonshire.